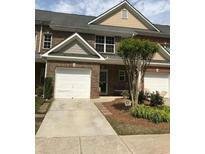 Close To Main Street, Ksu, Town Center Mall As Well As I-75 & I-575. MLS#6533141. Georgia Elite Realty, Llc..
Winterfield Court - Hardwoods. Custom Shutters/New Carpet/Paint/10' Ceilings/8' Doors MLS#6532227. Berkshire Hathaway Homeservices Georgia Properties. Cyrus Creek - This Community Also Has Lovely Amenities Including A Pool And Playground For The Kids. MLS#6531719. Keller Williams Realty Signature Partners. Partially Finished Basement Has Functioning Full Kitchen, Bath Ready To Become In-Law Or Guest Suite. 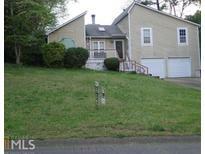 MLS#8557873. Homesmart Realty Partners. 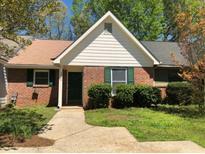 Brookhaven - Low Taxes W/Shopping,Ksu,Hospital,Dining-All Nearby.Come Enjoy This Great Home And Low Maintenance Lifestyle! MLS#6530953. Exp Realty, Llc..
Landings At Kennesaw - Upgraded Features Include Brand New Carpet And Freshly Painted Interior Throughout Entire Home. MLS#6530591. Keller Williams Rlty, First Atlanta. Cyrus Creek - Community Pool, Playground And Lawn Care Is Included In Hoa Fees! Great Schools! MLS#6530633. Atlanta Communities. Large Sunroom Which Leads Out To A Large Double Deck, Huge Family Room With Fireplace, Separate Formal Living And Dining Room, Breakfast Area Double Door Pantry, Kitchen Has New Granite Countertops With A Beautiful Travertine Floor And Backsplash. Fenced In Level Backyard. 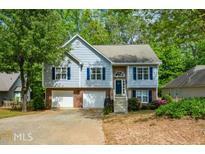 MLS#8555732. 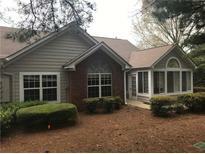 Select Premium Properties, Inc.
Marietta Country Club - Covered Porch! Salt Water Pool & More! MLS#8555494. Keller Williams Realty. 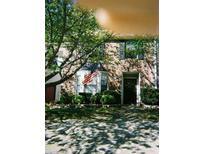 Easy To Commute To Universities, Medical Centers, And Major Interstates. MLS#6528369. Berkshire Hathaway Homeservices Georgia Properties. 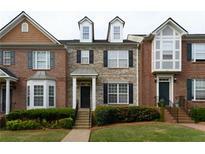 Located In Just Two Minutes From Ksu, New Eastpark Village Development And I-75. MLS#8554219. Mark Spain Real Estate. 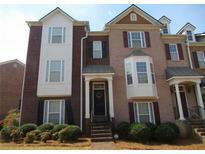 Landings At Kennesaw - Close To I-75, Whole Foods, Ksu, Kennesaw Mountain. MLS#6528679. Bhgre Metro Brokers. Brookhaven - Huge Bedroom And Closet In Loft MLS#6527075. Backyard Realty Group, Llc..
Landings At Kennesaw - Laundry Upstairs, Neighborhood Pool, Park And Walking Trails MLS#6527494. Coldwell Banker Residential Brokerage. Cedar Lake - There Are Some Very Nice Features Here, Along With A Well-Maintained Community And Amazing Location. Come And See For Yourself! MLS#6527538. Coldwell Banker Residential Brokerage. 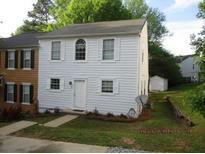 *This Is A Rental-Restricted Covenant Community, MLS#6524917. Advance Equity Group, Inc.. Overlook At Ellison Lake - Minutes To Ksu, Shopping And I-75. MLS#6525993. Atlanta Communities. Some Pictures May Be Stock Of A Finished Home With The Same Floor Plan, And Not Of This Actual Home. MLS#6525252. Kfh Realty, Llc..
Quick Access To Hickory Grove Peach Pass Highway Access! MLS#6525507. Kfh Realty, Llc..
Quick Access To Hickory Grove Peach Pass Highway Access! MLS#6525265. Kfh Realty, Llc..
Quick Access To Hickory Grove Peach Pass Highway Access! MLS#6525509. Kfh Realty, Llc.. Some Pictures May Be Stock Of A Finished Home With The Same Floor Plan, And Not Of This Actual Home. MLS#6525195. Kfh Realty, Llc..